(CN) – The California agency in charge of regulating pesticides handed down new regulations on a chemical found to cause brain damage in children, but public health and environmental advocates say the regulations don’t go far enough. 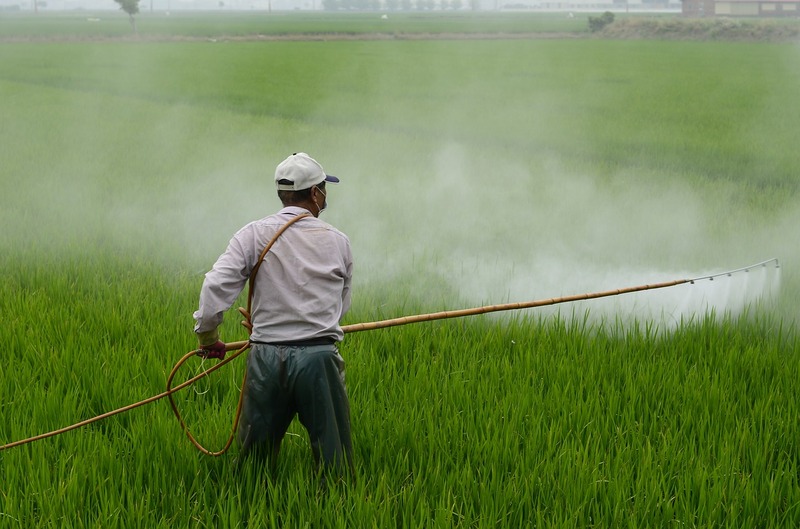 The California Department of Pesticide Regulation placed restrictions on the chemical chlorpyrifos, one of the mostly widely used pesticides in California and the nation. The restrictions ban aerial application, require setbacks for schools and residences and only allow use on certain crops. But Paul Towers, policy advocate with the Pesticide Action Network, said anything short of an outright and total ban on the chemical is insufficient. The department says the regulations are interim while it confers with other California agencies about permanent measures. Towers said part of the frustration is that the interim regulations would be insufficient to address some of the major public health incidents that have occurred in recent years. Last year, a group of farmworkers outside of Bakersfield in Kern County became sick from suspected exposure to chlorpyrifos. Cabbage packers described fainting and vomiting from exposure to a chlorpyrifos application more than a mile and half away. The quarter-mile buffer zone now required by the interim regulations would have done little to help the farmworkers in this incident. A similar incident in Salinas – an agricultural community southeast of San Francisco – sent 18 farmworkers to the local hospital, sparking a mass casualty incident and prompting investigations into area farm giant Tanimura & Antle. “Ultimately, the Department of Pesticide Regulation has the full authority to cancel and suspend the use of chlorpyrifos, effectively taking it off the market in California,” Towers said. Farm advocates say the pesticide is a crucial tool for farmers trying to grow crops needed to feed people both in the Golden States and around the United States. California is a major U.S. breadbasket, producing about 13 percent of the total cash crops in the nation. Chlorpyrifos kills bugs that prey on alfalfa, asparagus, citrus trees, almonds, rutabaga, radish, turnips, onion, cotton, garlic and grapes. The World Health Organization considers the chemical harmful to humans, and domestic use in the United States has been banned since 2001. Leaning on a slew of scientific studies that the chemical causes developmental disorders in children, the U.S. Environmental Protection Agency was considering a federal ban before President Donald Trump appointed Scott Pruitt to lead the agency. Pruitt immediately reversed course on the ban. The reversal prompted lawsuits, many of which are pending in federal courts, while critics point to the cozy relationship between Trump and Dow Chemical CEO Andrew Liveris, who chaired Trump’s short-lived manufacturing council. Dow patented chlorpyrifos in 1963. Liveris has since stepped down. The current CEO is Jim Fitterling. Meanwhile, the Ninth Circuit ordered the EPA to ban chlorpyrifos within 60 days this past August.